People who have difficulty breathing through their nose may develop a low-grade, chronic gingivitis on the visible side of the upper front teeth. The tissues may fill with fluid and bleed easily on light stimulation. It may be caused by an increase in the number of aerobic bacteria, which thrive because of the continuous exposure to air. It may also be due to prolonged periods of dry gums. 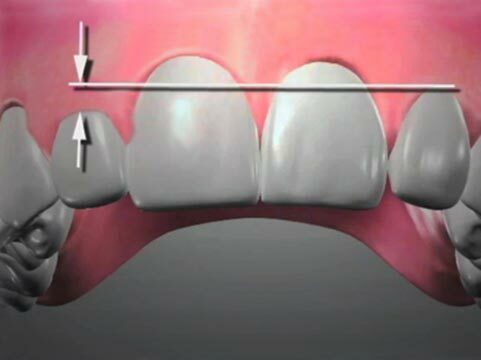 The condition can be frustrating if excellent oral hygiene does not fully alleviate the problem. Dental procedures can be difficult for mouth breathers to tolerate. Use of external nasal dilators for such patients may prove helpful. How does the dentist diagnose Mouth Breathing? When a dental examination is performed, the dentist may note localized inflammation of the gums of the upper front teeth. 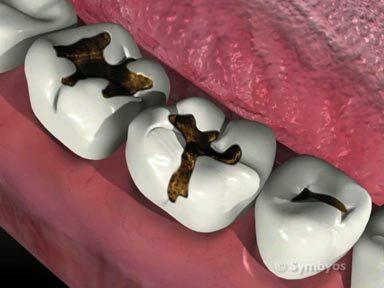 Although plaque control may be fairly good, the gum tissues appear shiny, bulbous, and bleed easily. Often the patient will be aware that they have difficulty breathing through their nose, and may have been told they snore. The condition is also present in patients with a “gummy smile”, meaning they show a significant amount of gums when they smile. Lip incompetence may be present. This is a condition in which the patient’s lips fail to close over the teeth when the facial and jaw closing muscles are at rest. Typically, these patients will have a long lower face height (dolichofacial pattern), and a skeletal or dental anterior open bite (the front teeth don’t overlap) malocclusion. If prophylaxis and excellent oral hygiene fail to maintain good gingival health, other treatment may be recommended. Application of a small amount of petroleum jelly over the affected gingiva following brushing and flossing may prove helpful at treating the symptoms. If you plan on doing this for more than a few nights, you should discuss it with your dentist or physician, so that a more serious condition isn’t overlooked. Use of external nasal dilators while sleeping may also be useful for patients who breath through their mouth while sleeping. 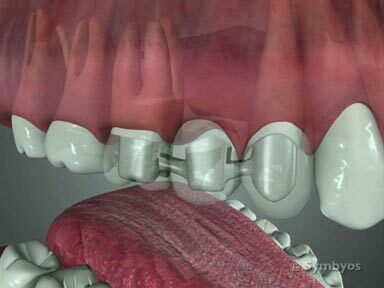 If the mouth breathing is due in part to malocclusion, orthodontic treatment (orthodontics) may be recommended. If breathing through the nose is difficult or impossible, evaluation by an otolaryngologist (ENT) physician should be considered. The condition may be caused by abnormally large adenoid and/or tonsil tissue, or presence of a deviated (or otherwise irregular) nasal septum. It may also accompany serious conditions such as sleep apnea, which may be treated surgically or non-surgically. Proper diagnosis of any underlying conditions is essential, so that appropriate treatment can be recommended.